It is now more than 40 years since Fighters over the Desert was published, and nearly as long since this was followed by Fighters over Tunisia . Both volumes have long been out of print and collectors’ items, but, despite much prompting, Christopher Shores has resolutely refused to permit their reprinting until he amassed so much more information. He has also long nursed a desire to expand the coverage to encompass the operations of the other types of aircraft involved in this interesting and important theatre of war – the bombers, reconnaissance aircraft and maritime units. Further, it is his intention to extend the period covered to include the later operations over Sicily, Italy, the Aegean area, the Balkans and Southern Europe. \n This then represents the first volume of a seminal series dealing with all these aspects and areas, which will also tie in with the earlier Grub Street volumes which he and his collaborators have produced. Thus a full coverage of all aspects of aerial operations throughout the whole of the Mediterranean area will be the ultimate result. Further, these volumes will link appropriately and directly with his other works of this nature, dealing both with the Far East and the war in Europe. Readers will then be able to follow the wartime careers of units and personnel involved from volume to volume throughout the war. \n Operations directly over the main battlefronts will be dealt with as previously, on a daily basis. However, to allow a clearer view to be obtained of operations elsewhere in the theatre, or of a different nature, separate chapters will deal specifically with the night bombers, the air defence of the base areas, and the naval co-operation activities. \n Wide use of maps will be made throughout this and subsequent volumes together with a considerable number of photographs integrated into the text. Long awaited by many, if any work can be said to be comprehensive and definitive, this is it. 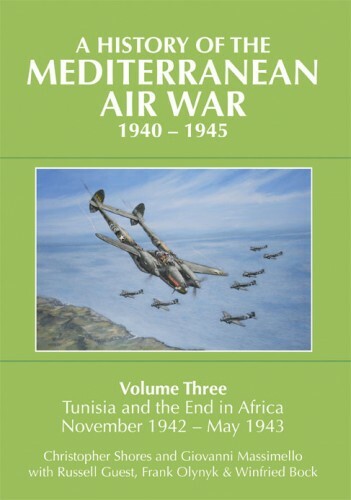 The first volume of this series dealt with the initial 19 months of the air war over the Western Desert of North Africa. 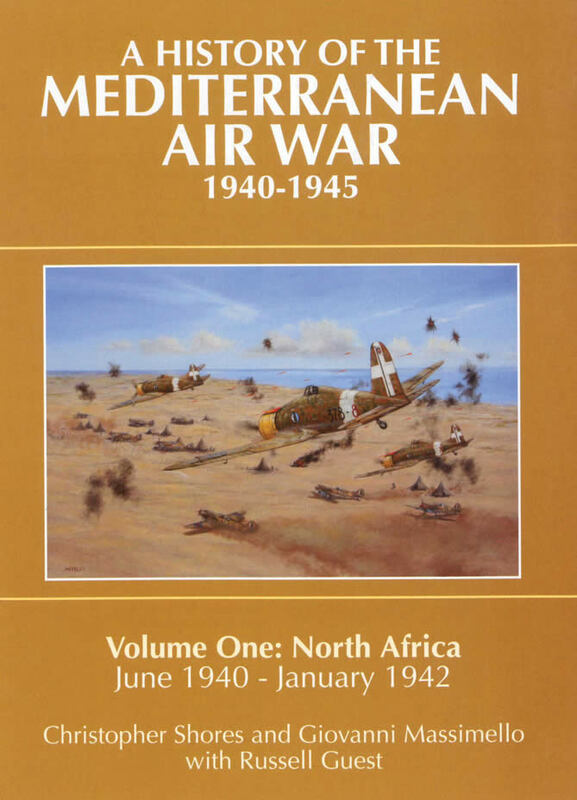 This volume picks up the story as the 8th Army, following its hard-fought success in Operation Crusader, was forced back to the Gazala area, roughly mid-way between the Cyrenaican/Tripolitanian border of Libya and the frontier with Egypt. It covers the lull prior to the disastrous defeat of the 8th Army in June 1942 and the loss of the important port and fortress of Tobruk. The costly efforts of the Allied air forces to protect the retreating British and Commonwealth troops and prevent this turning into a rout is examined in depth. So too is the heavy fighting which followed in the El Alamein region as the line was stabilised. This period was ameliorated somewhat for the Western Desert Air Force by the arrival - at last - of the first Spitfires. The build-up of both the army and air force which followed, coupled with new commanders on the ground, meant that Rommel's Deutsche Afrika Korps was defeated at Alam el Halfa at the start of September, and then again, comprehensively, at the climactic battle of El Alamein in October. Joined now by the first units of the United States Army Air Force, the Allied air forces began to achieve a growing ascendency over those of the Axis. The long, rather slow, pursuit of the Italo-German forces right across Libya is recounted, including the capture of Tripoli, followed by the breakthrough into Southern Tunisia at the end of March 1943. This allowed a link-up with the Allied forces in Tunisia (whose story will be related in Volume 3) to be achieved. In this volume follow to the fortunes of some of the great fighter aces of the Desert campaign such as Jochen Marseille and Otto Schulz of the Luftwaffe, Franco Bordoni-Bisleri of the Regia Aeronautica and Neville Duke, Billy Drake and 'Eddie' Edwards of the Commonwealth air forces. 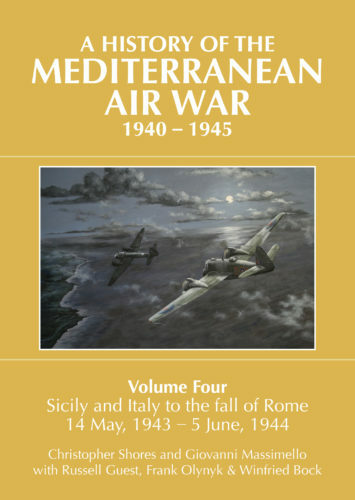 While the fighting above the constantly-moving front lines form the main narrative of this book, the Allied and Axis night bombing offensives and the activities of the squadrons co-operating with the naval forces in the Mediterranean are certainly not neglected.